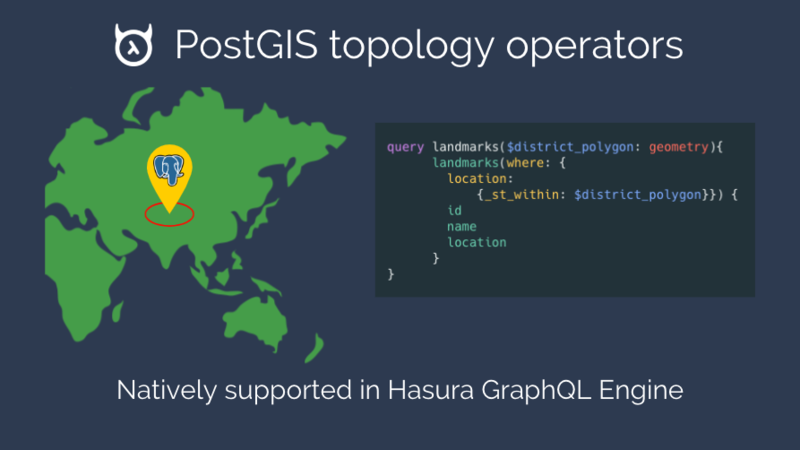 A lot of the developers in the Hasura GraphQL Engine community use PostGIS, the popular spatial database extension for Postgres, for their apps, and it was only natural for them to expect first-class support for PostGIS topology operators like ST_Contains, ST_Within, ST_DWithin, etc. 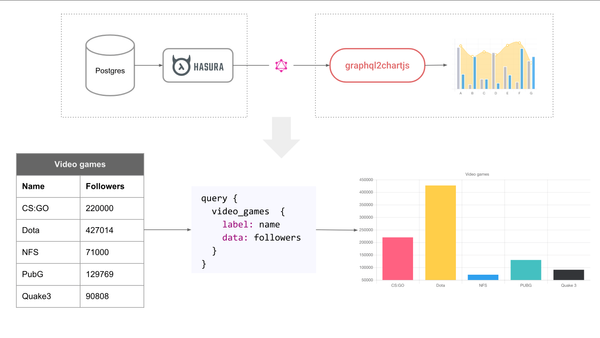 in Hasura’s GraphQL API. 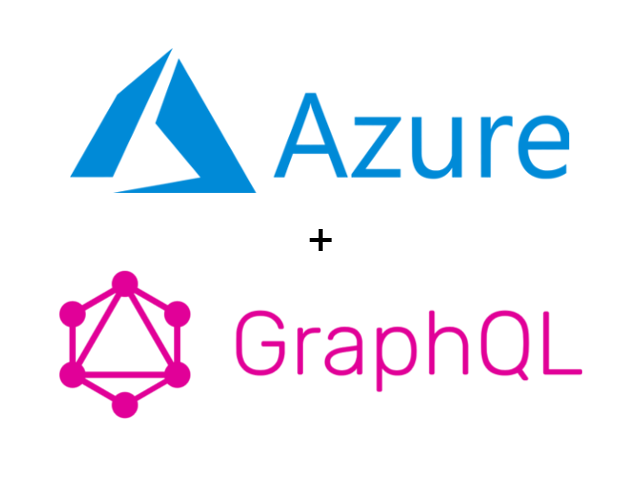 We are very pleased to announce the availability of native support for these operators as boolean GraphQL operators! You can use these operators in subscriptions and mutations too. 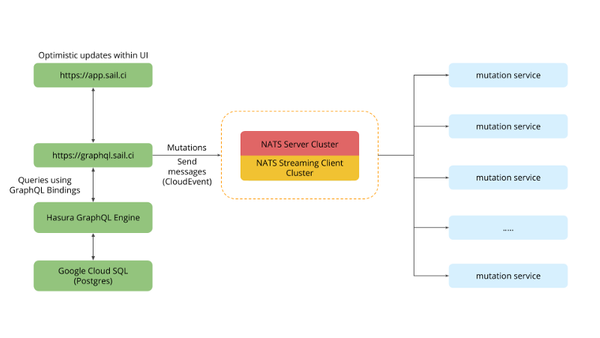 We are huge fans of the PostGIS extension and very excited to contribute to the experience for developers using both PostGIS and GraphQL Engine. 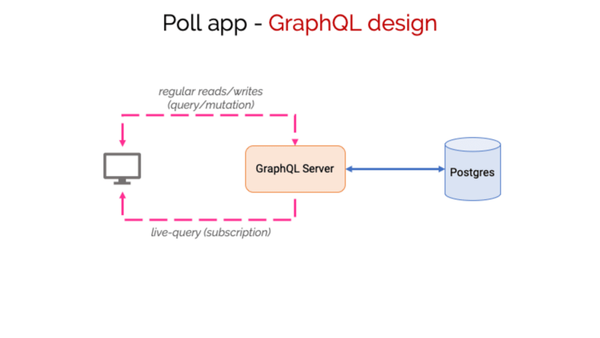 We'd love to hear your thoughts on this release - please do try it out and let us know how we can further improve our PostGIS support.